The new PlayStation App for iOS and Android is now available to download, just in time for the PS4’s release in North America. The Android App can be downloaded from the Google Play Store here, while the iOS app is currently only available on iTunes in North America here, and expected to be available in Europe very soon. 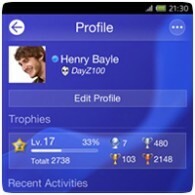 The app lets see your friends list, trophies, notifications, chat messages and even use the PlayStation Store to buy games. 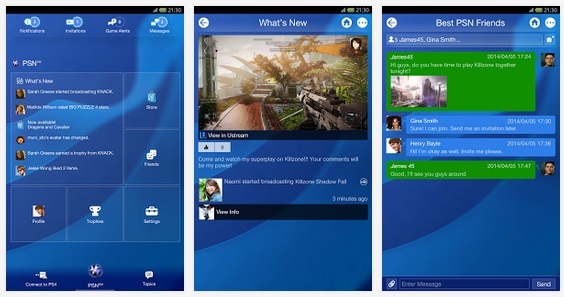 There are also options to use the app as a second screen for compatible games too. Not everything in the application is currently working at the moment, like the Explore section simply states “Coming soon”. The PlayStation Store button also links you to the mobile version of the PlayStation Store, which on Android, opens up your default browser instead of letting you browse it in-app.